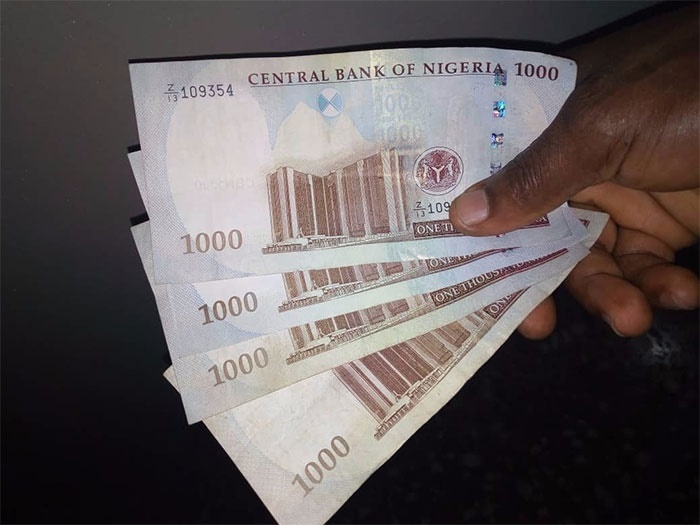 Observers said leading political parties handed Naira notes to voters at polling boots after they showed ballot paper indicating the party they voted for. The Independent National Electoral Commission (INEC) has got itself a court case, after observers said Ekiti governorship election was characterised by votes buying even at polling boots. A rights' group, Socio-Economic Rights and Accountability Project (SERAP), said it had dragged INEC to court over the commission’s “failure to put Ekiti vote buyers on trial". It says INEC has also failed to do something about the allegations of vote buying by both the All Progressives Congress (APC) and the Peoples Democratic Party (PDP) during recent governorship election in Ekiti State. In the suit number FHC/L/CS/1418/18 filed last Friday at the Federal High Court, Ikoyi, Lagos, SERAP is seeking “an order for leave to apply for judicial review and to seek an order of mandamus compelling INEC and its Chairman Professor Mahmood Yakubu to instruct security agencies to forward to them reports of their investigations into allegations of vote buying during the election". It also wants INEC to collaborate with the Independent Corrupt Practices and Other Related Offences Commission (ICPC) and the Economic and Financial Crimes Commission (EFCC) to commence prosecution of indicted persons. The suit followed the electoral commission’s response to SERAP last week saying that while it had powers to prosecute alleged vote buyers, it lacked the powers to arrest and investigate suspects. The suit filed on behalf of SERAP by its counsel, Timothy Adewale read: “To date, INEC and its Chairman have failed, neglected and/or refused to comply with the request by SERAP to prosecute alleged vote buyers. “INEC has no reason whatsoever not to comply with SERAP’s request, as the commission has constitutional and statutory responsibilities to prosecute bribery and undue influence in the context of elections and other electoral offences, as well as conduct and ensure a free and fair election. “By virtue of Section 153(1)(f) and paragraphs 14 and 15 of the Third Schedule to the 1999 Constitution of Nigeria (as amended) and Section 150 of the Electoral Act 2010 (as amended), INEC and its Chairman are under a binding legal obligation to prosecute indicted persons who are alleged to have participated or been involved in vote buying during elections and other electoral offences to guarantee that the free participation of the people is ensured, as intended by Section 14 (2)(C) of the Constitution”.